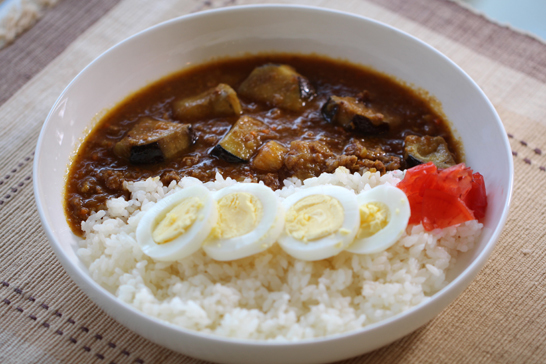 Today’s recipe is ” Ground Beef curry with eggplants“. Recently, I found good quality beef at Arabic supermarket “Akhavan” in the west island. They are very fresh and good price! So, I use their ground beef very often. I make ground beef curry. This recipe inspired by Keema curry, but arranged Japanese style. I also find good eggplants at that store. They are very good for curry! Japanese style curry with Ground Beef and Eggplants. Brown (A）spices with Canola oil at low heat. Filter with mesh bowl. Pour filtered oil into a big pan and brown grated garlic and ginger. Add minced onion and carrot, then stir. Add lard (optional) and ground beef, then stir. Add ( B) spices, then stir. Add onions caramelized, then stir. Add Red wine then stir. Add chicken stock (or water) and tomato paste. Then simmer for a while. Cut eggplant and saute another frying pan. Add the eggplant in curry, simmer for a while. Optional serve with boiled egg or Fukujinzuke. 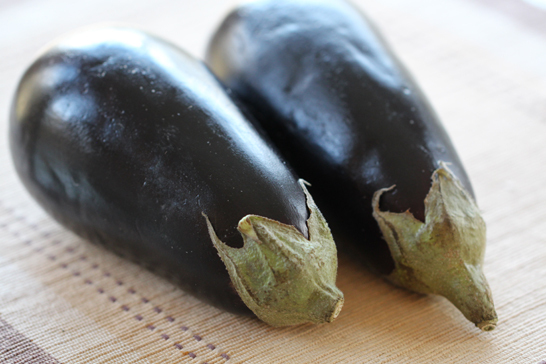 I found this Small Italian eggplant at the Arabic super market. It is packed in a plastic bag with air hole each unit. They are smaller than American eggplant, but larger than Japanese. 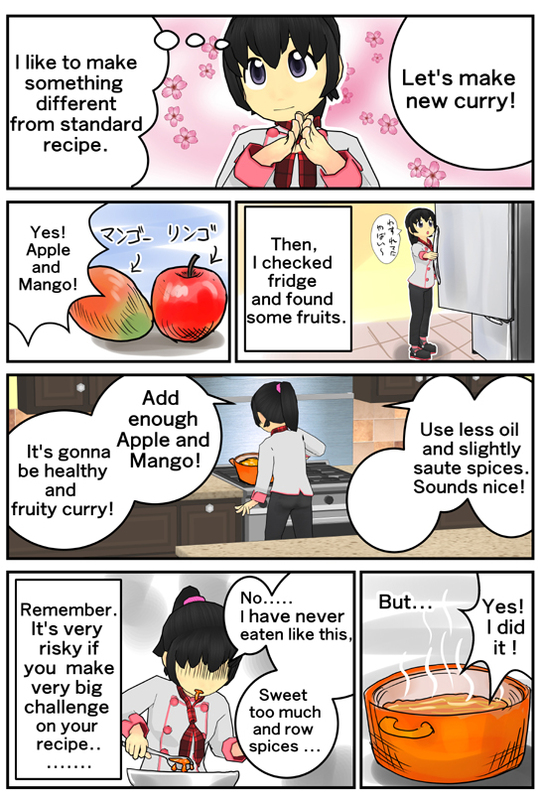 As you know, they are good for tomato sauce, but also curry!